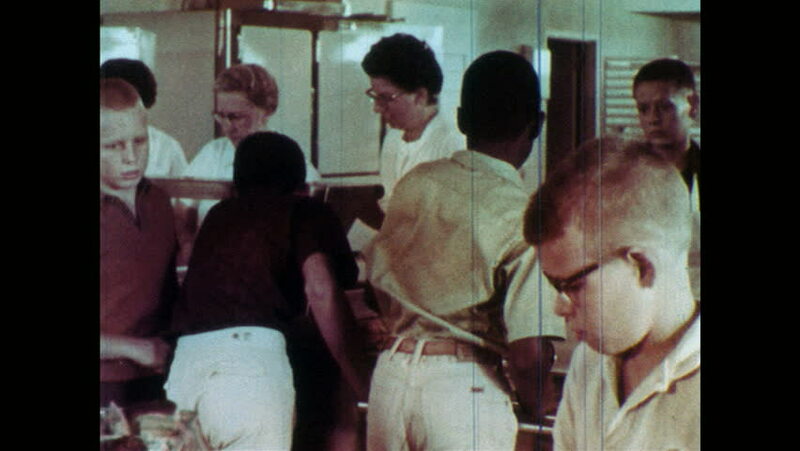 1960s: Students go through lunch line, get lunch. Students walk down hallway. Students sit at desks in classroom, read books. 4k00:05NEW YORK 1948: family sitting and standing. 4k00:25PENNSYLVANIA 1957: the religious choir outside posing for a picture. 4k00:281950s: ladies listen to talk. Lady packs a gathered skirt inside suitcase. Lady packs jacket in case. hd00:56CIRCA 1943 - Women sign their names onto the Memphis Belle at a war bond rally.